One of golf's great secrets, Fore Ewe offers highly customizable and highly sought after knit headcovers to a discerning and passionate group of top clubs and golfers. Quality is everything – we use 100% wool yarn made in the USA. It is spun and double waxed to ensure that it knits smoothly and all of our yarn is skein dyed to make sure the colors are rich and consistent. Our team has very high expectations for our product and customer satisfaction. The design process is simple. You can seek inspiration and select from our past work, or we can assist you in designing something unique for yourself. In either case, everything we do at Fore Ewe is custom and crafted specifically for the customer with meticulous attention to detail. In the summer of 2018, Fore Ewe was acquired by MacKenzie Golf Bags (also based in Portland, Oregon). 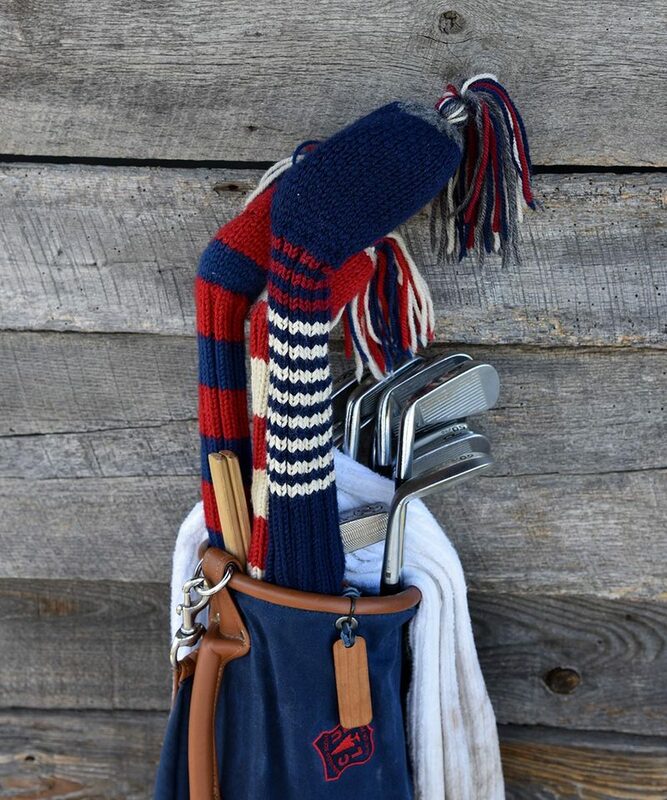 This merger has empowered both Fore Ewe and MacKenzie to provide their customers with the option of coordinating a highly customized bag + headcover set.